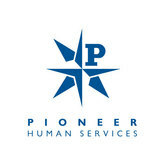 Pioneer Human Services Corporate Office in Seattle, Washington offers an integrated services including employment, training, treatment and re-entry facilities for the affected people. Started in 1963 as a single halfway house, it has developed into a major service organization over the years. Its management today consists of Rollin Fatman, Chair along with a Board of Directors, Board of Honorary Governors and an Executive Leadership Team. Services rendered include providing homes, and rendering counselling and treatment for chemical dependency and mental health patients. Offering training and job for incarcerated and punished individuals is another important service rendered. It also engages people on construction and pest control jobs productively. State and federal approved programs are launched with an eye on facilitating re-entry of affected individuals into society. There are currently 1 consumer reviews about Pioneer Human Services available. Share your review. You are a ANTI-Veteran orgainization, as you treat disabled veterans like dirt this is the 2nd time I have become homeless because of PHS The 1st time caused me to have a heart attack and 2x breakdowns I will in all certanity have another heart attack, due to mis-conduct AGAIN of some of Pioneers Employee's I do not have legal, drug, alcohol abuse issues, only bad health PHS is despicable The VA IG's office has been informed as to Carolines actions and anti male/vet bias, both employees, that made me homeless the first time were fired! Please take a note that you are about to post a public review about Pioneer Human Services corporate office on CorporateOffice.com. This review will be public, so please do not post any of your personal information on this website. If you would like to contact the corporate offices of Pioneer Human Services, please use their contact information such as their phone number, website, and address listed above to contact them. However, sometimes staff from Pioneer Human Services headquarters do read the reviews on this website.